We believe in the economic and social growth that comes from turning passion into hustle...into purpose driven entrepreneurship. This belief provides revelation that we are all in some way business savvy creators. 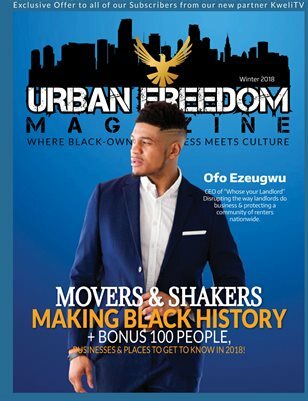 Urban Freedom Magazine has been created as a bridge between Business & Culture. 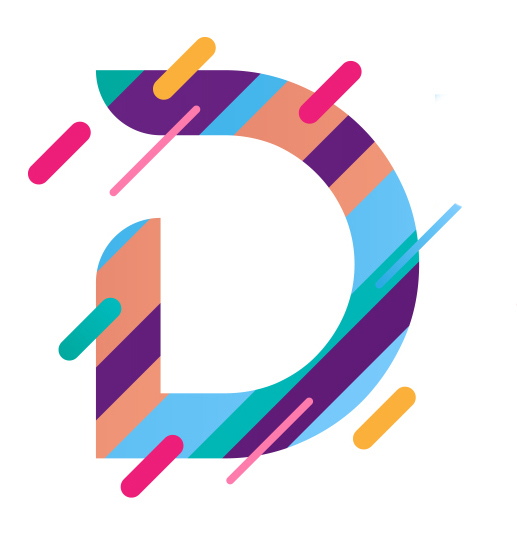 We are geared towards Entrepreneurs, Creatives, & startups. Providing Inspiration, Information, and Motivation in the advancement of personal growth as well as community economic advancement. By connecting with industry leaders and creatives on all levels we extend our resources & knowledge in a dynamic mix of business & artistry. Featuring those in the culture around us who have learned valuable lessons that transformed their brand. How to transform ourselves, brands, company culture, etc. How the world of business is transforming in 2019. Efficient tools to transform your business. Contributors who have made huge business transformations sharing their wisdom. Events to attend to transform thinking, interacting, leading, learning, & fun. Business Laws that will require certain industries to transform the way they do things. Your Journey is a light for others, your lessons, your success, who you are is a story worth being told. Lasting generations in print, video & digital. Marketing with No Funds 101! Developing your marketing plan: Become an Urban Freedom Partner after! "hISTORY IN THE MAKING: Vol 2, issue 1 "
100 People, Businesses & Places to support as they take-off! 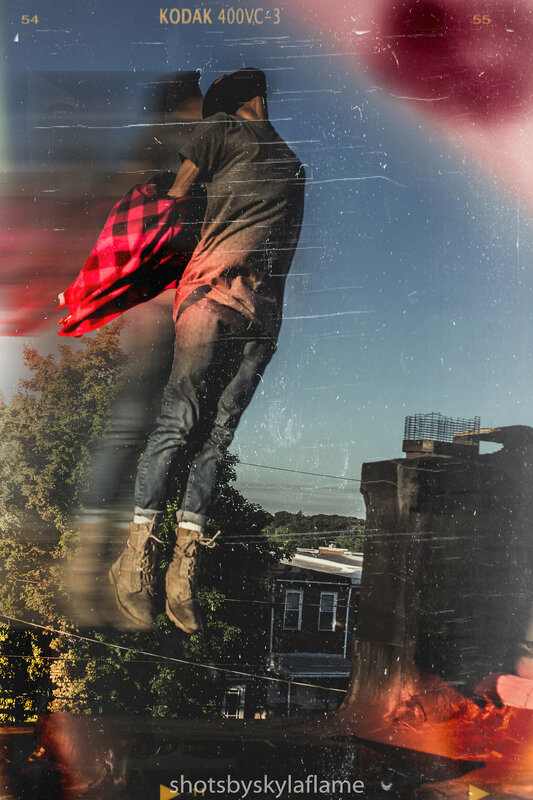 Click the cover to purchase your limited edition print copy! Ofo Ezeugwu: is co-founder and CEO of WhoseYourLandlord, a web platform connecting good renters with good home providers by using landlord reviews, verified tenant information, and real time available listings. Ofo Ezeugwu graduated from Temple University, where he was the VP of the student body and also the youngest alumni convocation speaker in the school's history. He's a Techstars' Risingstar, one of BET's #30Under30, a Black Enterprise: Modern Man, and his work has been featured in TechCrunch, Newsweek, The Philadelphia Inquirer, MSNBC, and more. Ofo is also very actively plugged into the community and speaks with local high schools and middle schools on leadership, college planning, entrepreneurship, and life skills. He's a Big in the Big Brothers Big Sisters entrepreneurial program. 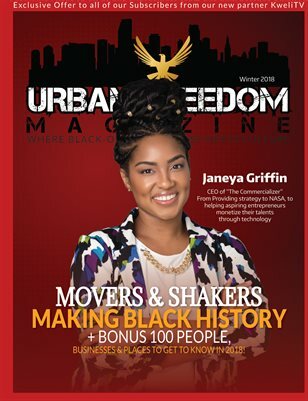 Janeya Griffin is a HBCU STEM graduate from Grambling State University and a certified Entrepreneurial Technology Commercialization expert in Technology Transfer . She is adept at utilizing her innovative and detail oriented skill set in an environment that supports moving technologies from mind to market. Applying out of the box thinking intertwined with her science and entrepreneurial skills she is able to help private industry, universities and government entities excel in successfully creating and implementing strategies for both licensing and the commercialization of new technologies. Feature Spotlight AT A GLANCE! Did You Know: Nas "The Investor"
Daafram Campbell, Disrupting the way we use Business Cards and Network: Switchit App!